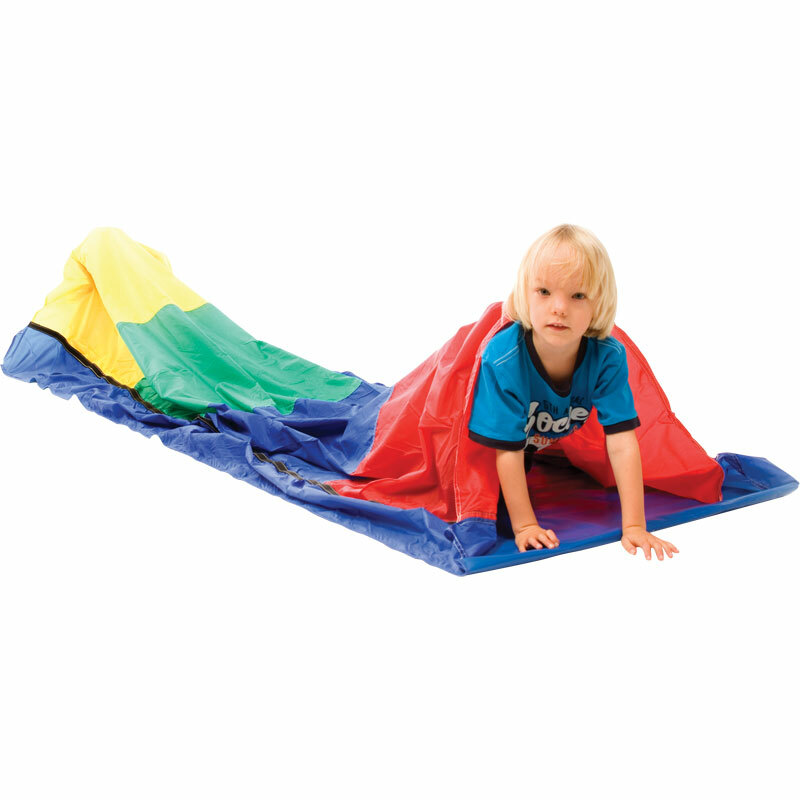 The PLAYM8 ® Crawl Tunnel is suitable for imaginative play and motor-skill development. Made from a heavy duty PVC. Base with weighted ends to prevent movement in use. The cover is a 76cm diameter colourful nylon that is light and will allow light through. A brilliant product. The crawl tunnel makes co ordination exercises fun for kids. Mum and dad have lots of fun too. Good quality product. Colours are great. The tunnel was brought for aiding with delivering out in schools that is undertaken by myself and a team of people. We brought two of tunnels of which both have torn along the seams - I am a bit disappointed as we brought this tunnel initially as it opens pretty big to ensure that all children feel comfortable in going through!